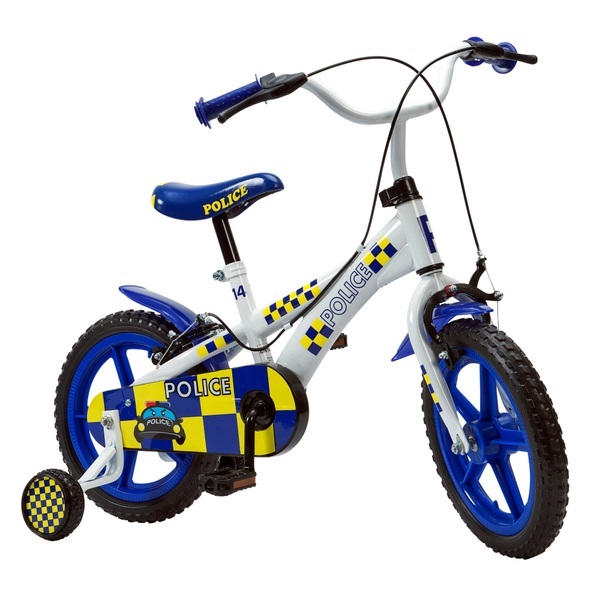 The 14 inch Police bike is ideal for children who are learning to ride a bicycle, and it has training wheels that can be removed when your child is fully confident. This bike also has front and rear brakes. If you are a fan of cops and robbers you are sure to like this Police bike. With its blue and yellow colour police graphics this bike is perfect for any outside adventure. EU Warning: Not suitable for children under 4 years old. To be used under the direct supervision of an adult. Helmet and safety gear recommended.